This product replaces the BS150. It is identical in specs, but improved in construction and performance. 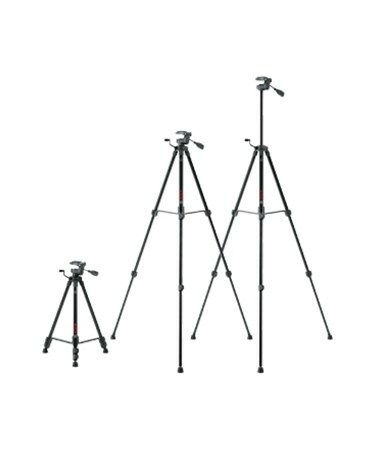 The Bosch Aluminum Compact Tripod is a portable tripod that offers solid support to most line lasers, point lasers, and handheld laser distance meters with its 1/4-20 mounting thread with detachable base. Featuring a lightweight aluminum construction and collapsible legs, it allows easy storage and convenient transport making it ideal for carrying around from one jobsite to another. 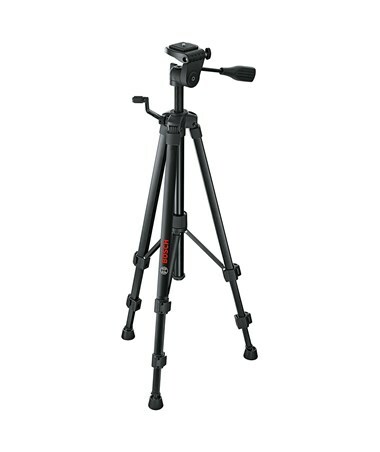 This compact tripod by Bosch is equipped with an elevating center column that comes with a fine adjustment crank to enable quick and precise set-up. It can extend up to 61 inches in height and retracts down to 22 inches. The steady base swivels, adjusts, and locks to ensure accurate leveling and secure placement on any surface. With its adjustable center support, it provides superior stability and sturdiness. 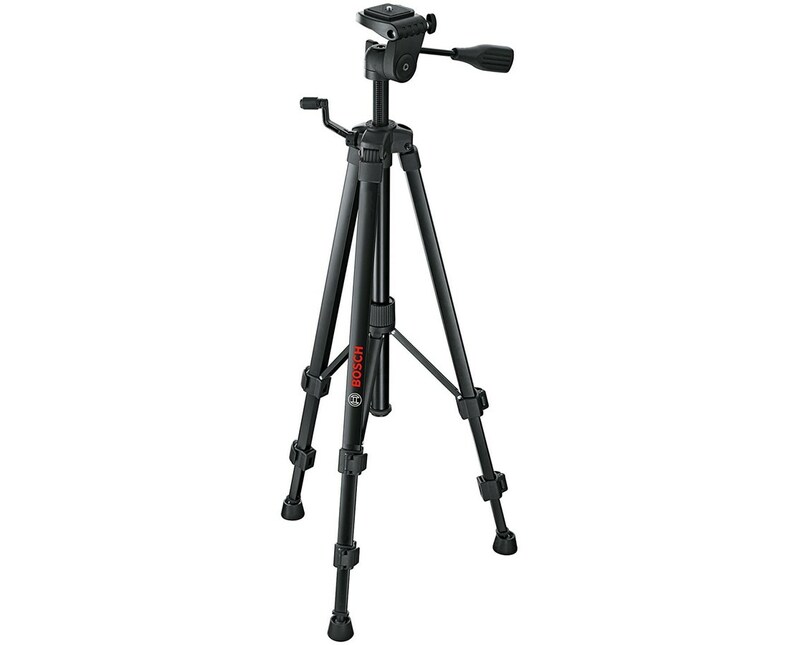 The Bosch Aluminum Compact Tripod can also be used as a camera tripod. It weighs only 2.9 pounds. With a one-year manufacturer’s warranty, it guarantees long-lasting efficiency.